Good rainfalls in spring. Summer temperatures in the average. On the 15th of August an exceptional hailstorm damaged the estate causing a significant reduction in production. The dry period that followed allowed to manually remove the damaged bunches and to pick healthy high quality grapes, with an unusual level of concentration, in the first decade of September. 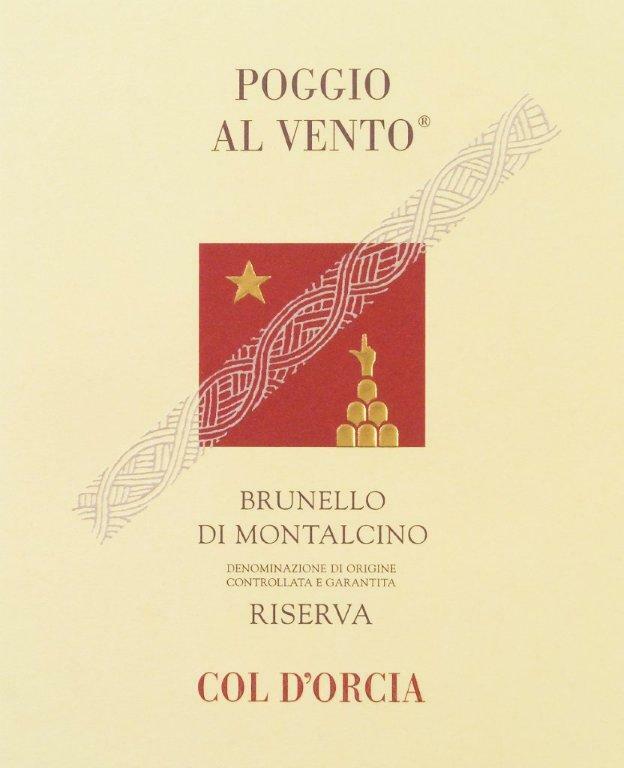 Particular clones of Sangiovese, locally called “Brunello” coming from the Col d’Orcia selection. The choice of the harvest time was based on finding the perfect ripeness to produce a long-lived, structured wine. Manual harvest with rigorous selection of the best bunches, in the vineyard at first and then on the selection table in the cellar. Fermentation at controlled temperature of 28°C. in stainless steel tanks of 50 and 60 hl. The different areas of the vineyard were kept separate. During the maceration, that lasted 20-25 days, daily pump-over and long “delestages” were carried out. Mallolactic fermentation took place in concrete. From there the wine went directly into barrels in the spring of 2009. The typical aromas of the Sangiovese (ripe red fruits) are enhanced by the classic spicy aromas originating from the long ageing in barrel. Powerful and elegant. The soft and ripe tannins are balanced with a pleasant acidity. Long spicy fruity aftertaste.